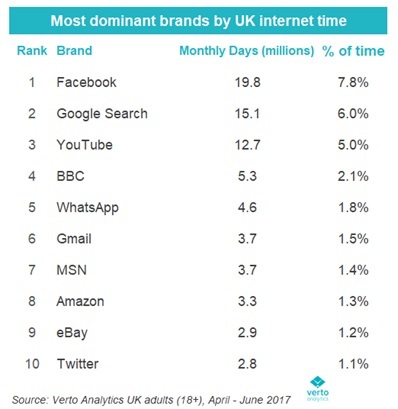 The study, from measurement firm Verto Analytics, British adults accumulate 42.7 million days a month across Google properties – primarily search, YouTube and Gmail – the equivalent of more than 1 in every 6 minutes (17%) of UK internet time. Around 11% of time (28.4 million days) is spent on Facebook-owned properties which include WhatsApp and Instagram. 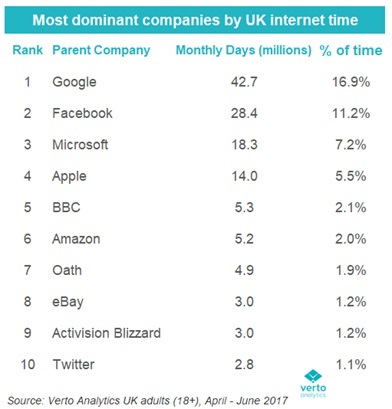 The newly combined Yahoo and AOL offering – Oath – now accrues the seventh most internet time in the UK, 4.9 million days a month (1.9% of time). The 10 most dominant companies in the UK – all of which are US firms, except for the BBC – account for half of internet time, which Verkasalo says “leaves the other hundreds of thousands competing for the other half.” Alongside the BBC, Sky is the only other UK company featured in the 20 most-heavily used sites in the UK. 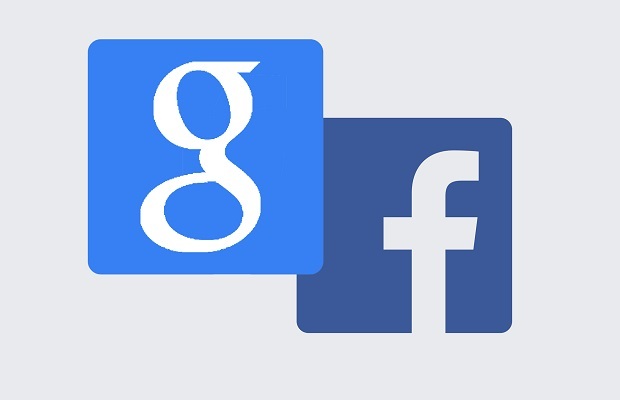 “The implications of a handful of dominant companies – particularly just two – go beyond simply which sites we surf. You have fewer sites increasingly controlling not only what you see and hear but where advertising revenue goes,” explains Verkasalo. “The erosion of newspapers, magazines and high street retailers plus the web giants sway over political elections is just the beginning.